Maitre D' Steel is a beautiful line of mirror polished steel miniatures. 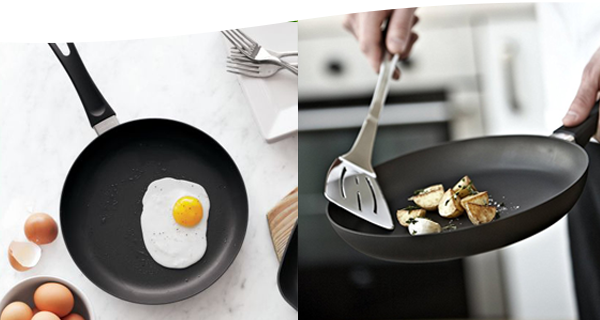 With these elegant products you can really cook and serve in style. 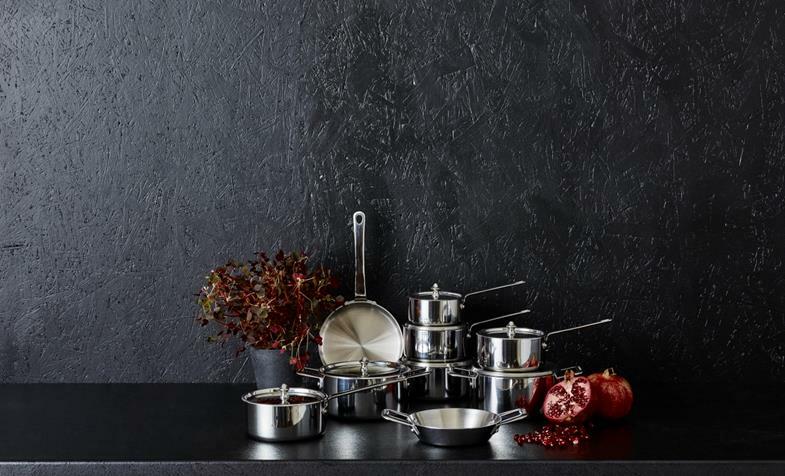 Whether preparing delicious sauces, making individual servings of entrees and desserts or making a stylish presentation of tapas dishes, from cooktop to table this cookware is bound to impress. Maitre D' is a universe of luxury and aestetics. In addition to the steel miniatures you see below, this universe offers copper miniatures, copper cookware for induction and luxury kitchen knives and cutting boards. Steel - aluminium - steel. That's the short version about the construction of the Maitre D' Steel series. Imagine a three layer plate formed into a pot or pan - that is Maitre D' Steel. The materials in the three layers are carefully selected: hard-wearing 18/10 steel inside, aluminium core for the excellent heat distribution, 18/0 steel outside for induction compatibility. This construction can also be an advantage if your induction stove is sensible about the minimum size of the cookware. The design is a blend of traditional French and professional style. Made from the highest quality stainless steel and mirror polished, these miniatures will look amazing on your cooktop as well as on your dining table.